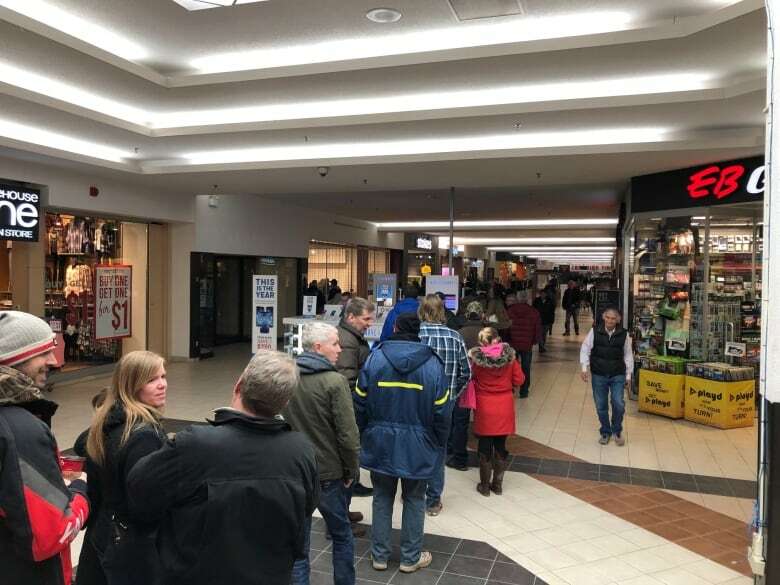 There was a line in front of Highland Square Mall in New Glasgow at 5:30 a.m. today. It's a good day for music lovers. Radio stations in New Glasgow, N.S., are selling off an impressive vinyl collection that dates back to the 1960s. It took decades for Mix 94.1 and its sister station, Zed 97.9, to amass the 96 boxes of LPs and CDs — but it likely won't take long to offload them. People were lined up outside Highland Square Mall at 5:30 a.m. on Friday morning and program director Scott George estimated 350 people had come through the doors by noon. The radio stations were recently sold to Newcap Radio and will now be completely digital. That means about 6,500 LPs and CDs need a new home. 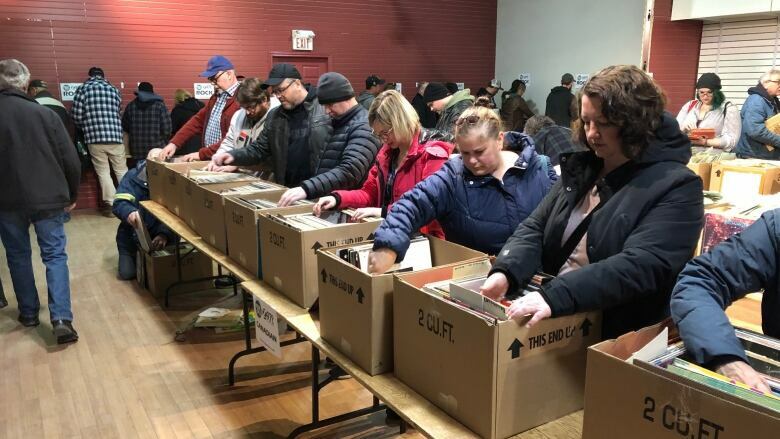 "It's quite the setup that we've got there and just an unbelievable collection of some really cool music memorabilia," George told CBC's Information Morning. He bee-lined for the box labeled "rock" and found Fleetwood Mac's Rumours, the White Album from The Beatles and a treasure trove of early Bob Dylan and The Police. "There were even things like video game soundtracks, which I didn't even know that they put on vinyl and made those back in the day," he said. All the money will go to Viola's Place Society, which operates a homeless shelter on Marsh Street in New Glasgow. George said it's a win-win. 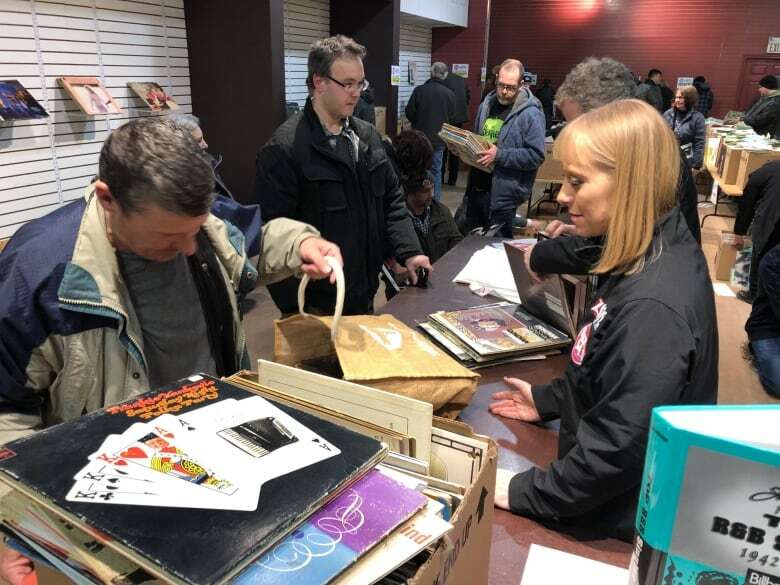 "Some vinyl collectors … and people that just like to have vinyl in general are going to get some really cool pieces and then we're able to take all that money and put it right back into the community," he said. The sale runs until Sunday at 5 p.m. — but only if there's still enough vinyl to go around.